Washed – Dried – Folded and Ready to Wear! 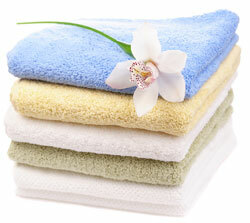 Your Laundry and Dry Cleaning is returned ready to store in your dresser, closets or linen closet. Comforters are packaged for storage. 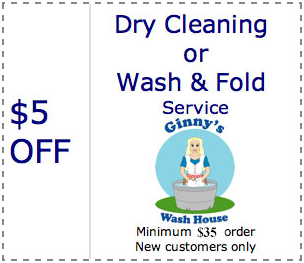 Our staff is trained to complete a detailed laundry and professional dry cleaning service that is sure to please. Simple, Pay by the Pound Impeccable Quality and Accuracy Custom Folding & Instructions. You are also welcome to bring in your own supplies, such as your favorite hypoallergenic and environmentally-friendly soaps and softeners for your laundry. Your supplies will be labeled for your exclusive use. Finally, we neatly fold your clothes, match your socks and wrap your clothes, ready for you to pick up and take home. Most orders dropped off before 8:00 a.m. will be ready the same day after 5:00 pm. Otherwise, all orders will be ready for pick-up usually within 24 hours. Minimum 10 pounds per order, minimum 10 pounds per load. Table Clothes w/ Ironing: $7.00 ea.